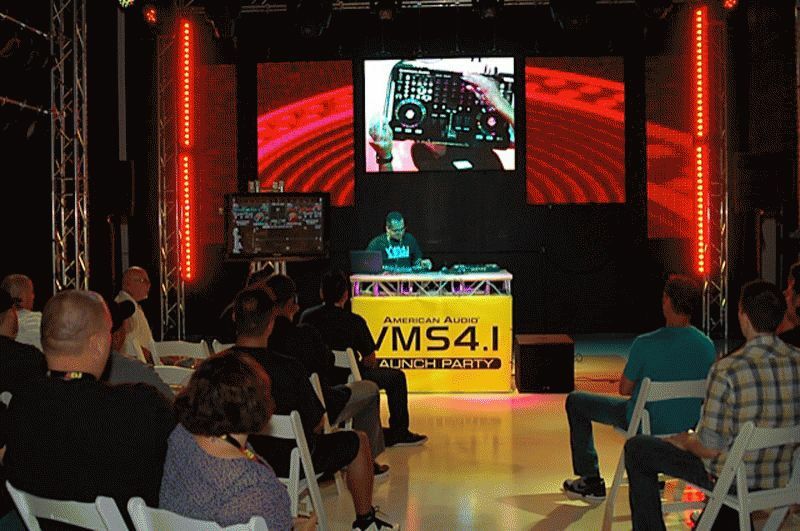 American Audio threw a party for a group of So Cal DJs on September 15 to introduce the widely anticipated VMS4.1 Digital Work Station. The temporary stage at “party central” in the company’s headquarters was set up to look like something out of the Academy Award ceremony. How fitting was that??? The new VMS4.1 is destined for super stardom as an indispensible mobile entertainment tool. A lot of companies hype up the second version of existing products as “new and improved.” But the new VMS4.1 goes miles and miles beyond this hype; it builds on the best its predecessor had to offer, smoothes out a few rough edges and adds some pretty incredible new features of its own, to come up with a tool that will help DJs take their performance to places they’ve never been before. · “I’ve been one of the biggest VMS4 fans and supporter since day one, so in my honest opinion they took something great, and made it greater! They listened to their DJs and stepped up to the plate... “Johnny Aftershock Mancilla. Compared to its breakthrough predecessor, the VMS4.1 has a completely new internal hardware, four times more output, a larger power supply, brighter LEDs on knobs and buttons, stronger facer mounting, vastly improved sound quality and significantly upgraded mic sound, quality and output. It also has a new, more linear EQ design that works better with Traktor software. Other enhancements include more advanced cell phone interface shielding, a baked on paint finish and new graphics, plus exclusive American Audio D-Core processing. 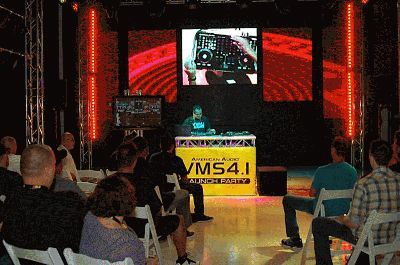 The VMS4.1 is using the same Virtual DJ LE software as its predecessor, but this will be updated. When it is, this update will be available at no cost to VMS4.1 owners. There’s also good news for budget-minded performers in the launch of VMS4.1. The new products is priced at $499.99. The product will be available the first week in October.